CINCINNATI -- Every weekday morning for the last eight years, Bob Cook has unlocked the doors of Sands Montessori School at 5:30 and polished the floors until they shine "like glass." 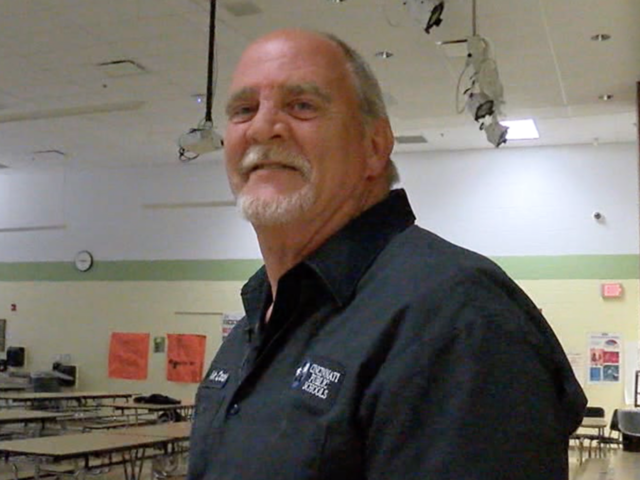 "I come in and do my job so that kids come to a clean school," the longtime custodian affectionately known as "Mr. Bob" said. "I just want to be a role model and hope they come back in 10 years, shake my hand when they go to college, you know?"